Any of you have any experience with fake grass? My "side yard" is only about 4ft wide and gets almost zero sun. Was originally thinking about xeriscaping flagstone and gravel. I have recently seen some fake grass installed at the nuclear plant I'm working at and it doesn't look bad at all. Thoughts on using it, instead of xeriscaping? How well does it hold up to moderate traffic? Is it totally taboo here? I've researched it a little bit. It holds up to traffic well since it is installed on sport fields. I'm not sure how long it would last in the "weather" but I think most of them only have a 10 year shelf life before it needs replacing. You obviously could probably get away with a longer time frame since it isn't used for sports. I think it all comes down to costs, since you aren't doing that large of an area it might be feasible to at least get an estimate. I think it's pretty care free once it installed, you might just need to "fluff" it up occasionally with a broom. Right now, I have weeds and dirt. Area is, I think, 4 ft x 36 ft total. Was just thinking of buying some stuff online and doing my own install. I would do a little more research on it just to make sure it's what you want and you should definitely save some money doing it yourself!! 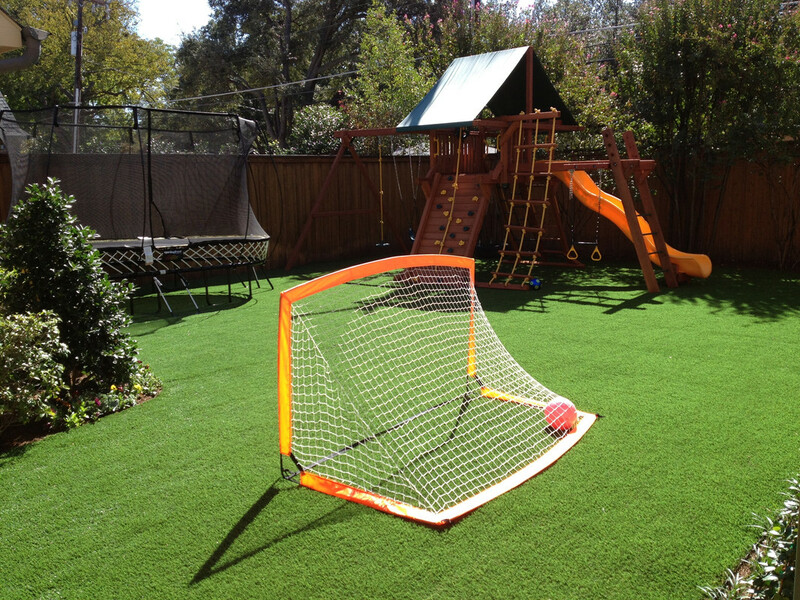 My brother had his backyard done in Astro turf. Looked really good and held up well for the 4 years he was there. He had a black lab, Italian Mastiff and a German Shepherd mix. Other than an occasional weed popping through it held up great. Not to get too far off topic here, but where did the dog poop go? I'm sure he picked it up frequently but depending on the diet and other factors, some residue can remain on the blades. Did he wash it off? He picked it up daily and disposed of it. Cleaning up wasn't too bad except for the time he experimented with some sort of raw meat diet for them. they sell fake Grass or artificial turf at JD Landscapes or Site one as they are called now. Only problem I see putting it in you side yard is do you need to have some kind of border in the fake grass like a curb? I would think this would be a rare occurrence since the soil would be devoid of any living things with carpet on top of it and plus they would have a hard time getting through the fake grass. I've seen them burrow under sidewalks and driveways, and I've heard of moles and gophers undermining things like above ground pool liners. I wouldn't worry so much about them getting up through the fake grass as I would their tunnels underneath it eventually collapsing and creating a bumpy fake lawn. 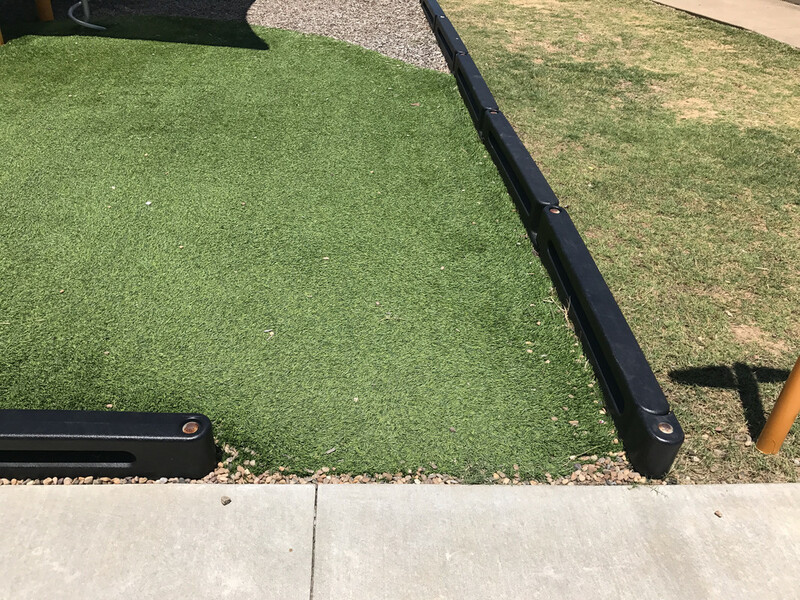 I wonder what kind of base/sub-base is recommended for fake lawns? Last edited by Ware on Mon Jun 05, 2017 7:08 am, edited 1 time in total. 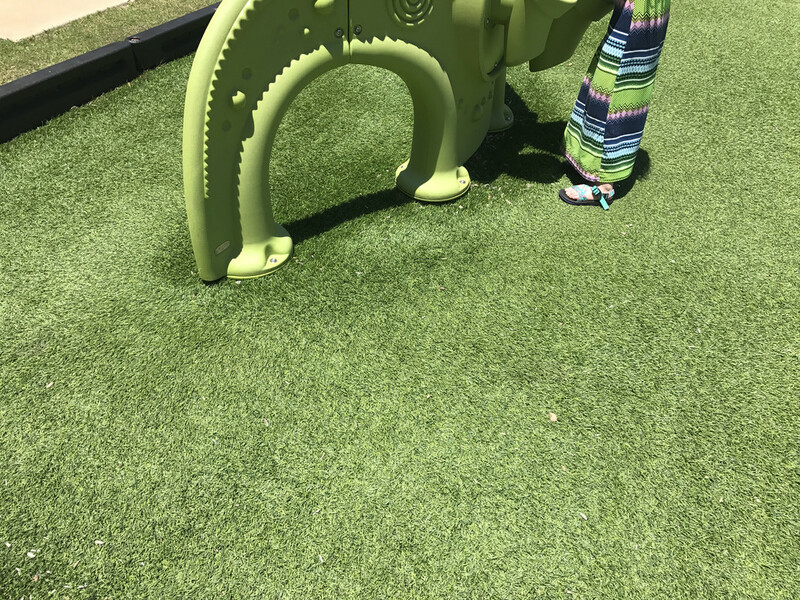 I Noticed some fake grass at a park this week and took a few pictures. The Grass first caught my eye because of how amazing it looked from 100ft away, I thought it was real grass! I have no idea how long it's been installed, but it's a high traffic park and I'm sure it's getting abused! I think it's a big deal in California. A lot of the water districts there actually offer rebates for replacing your real grass with synthetic turf. Yup. I was in the Bay Area at the beginning of May. Many residential and commercial lawns are artificial turf. I don't remember seeing nearly as much when I was there in back 2008.